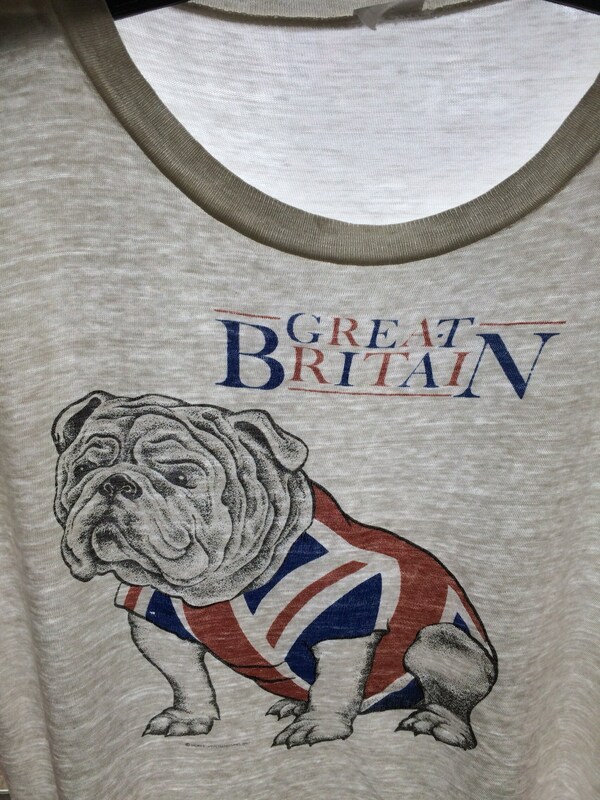 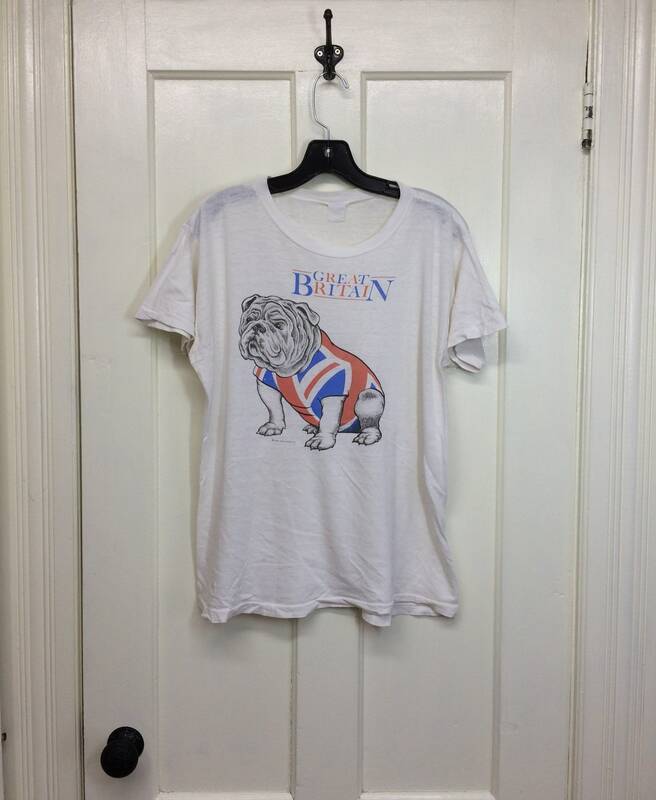 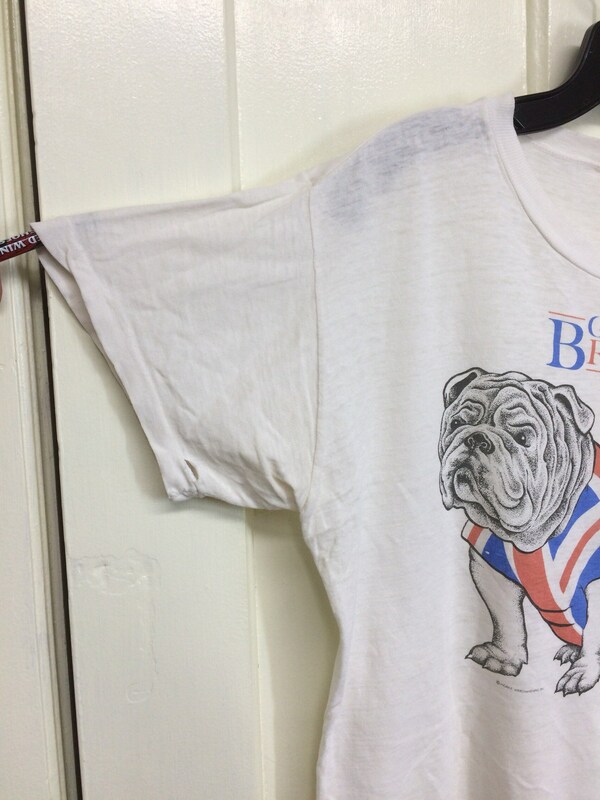 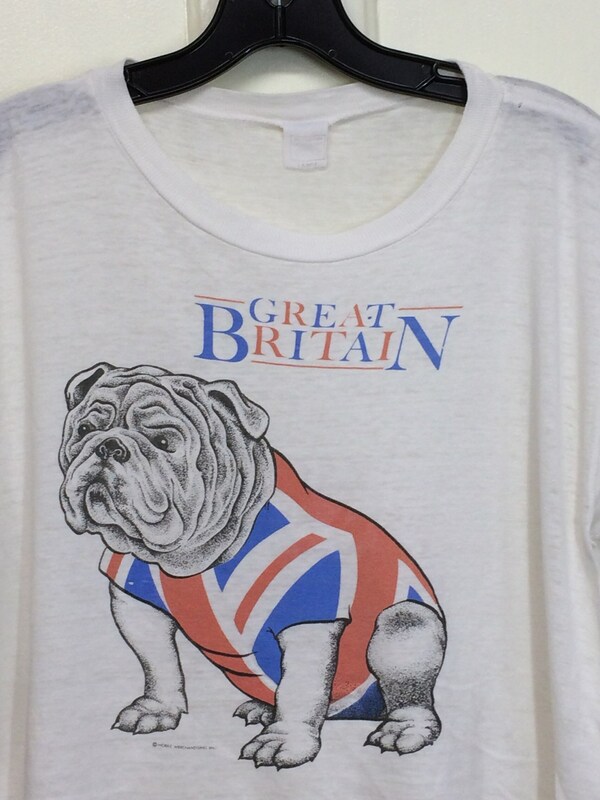 Here's a Great Britain t-shirt from the 1980's, dated 1983. 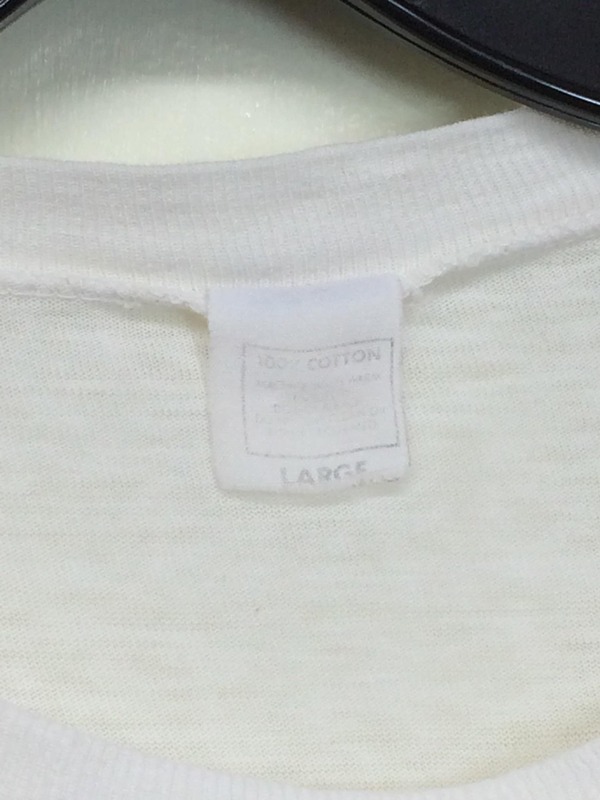 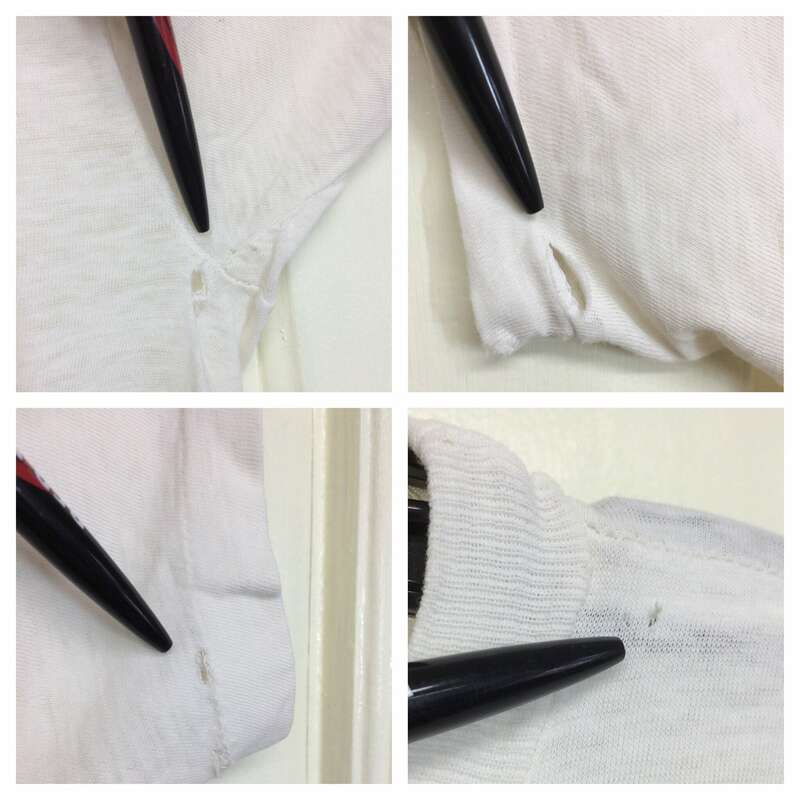 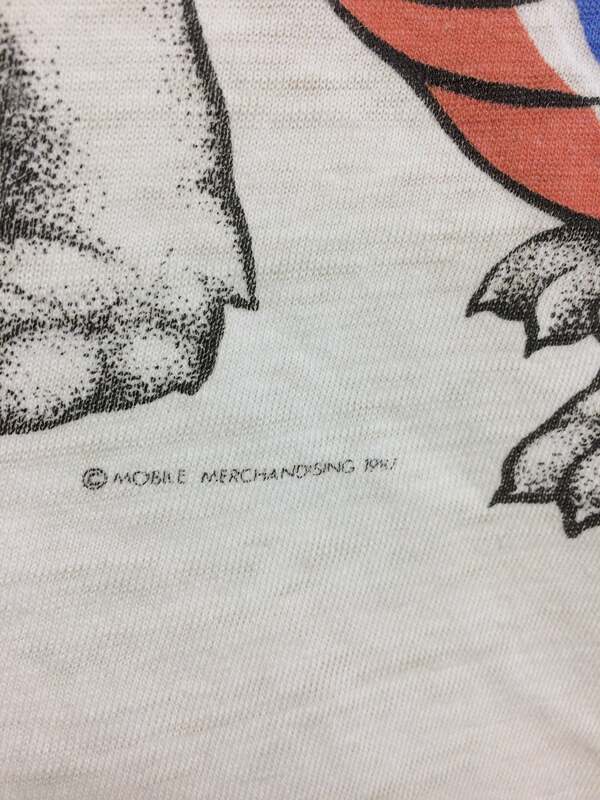 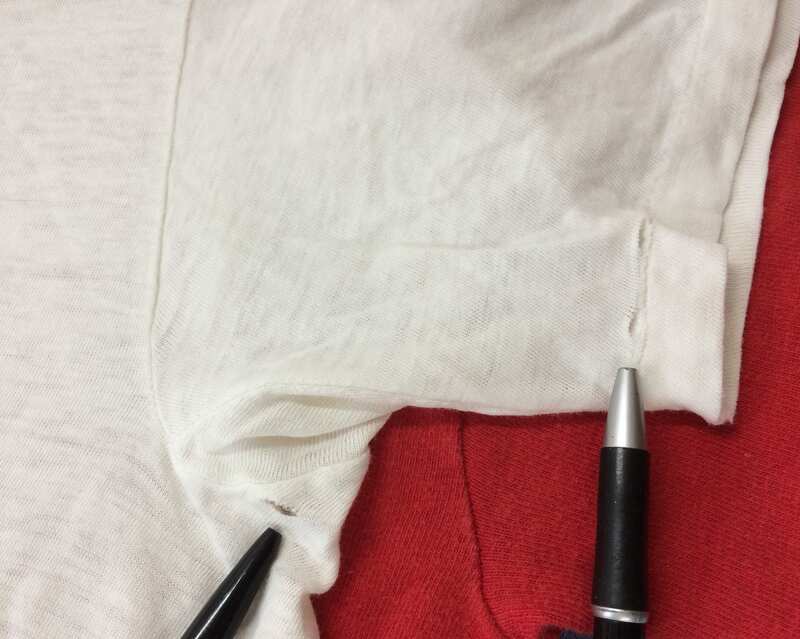 It's worn very thin cotton with single stitching and has some small holes, mainly around the sleeves. 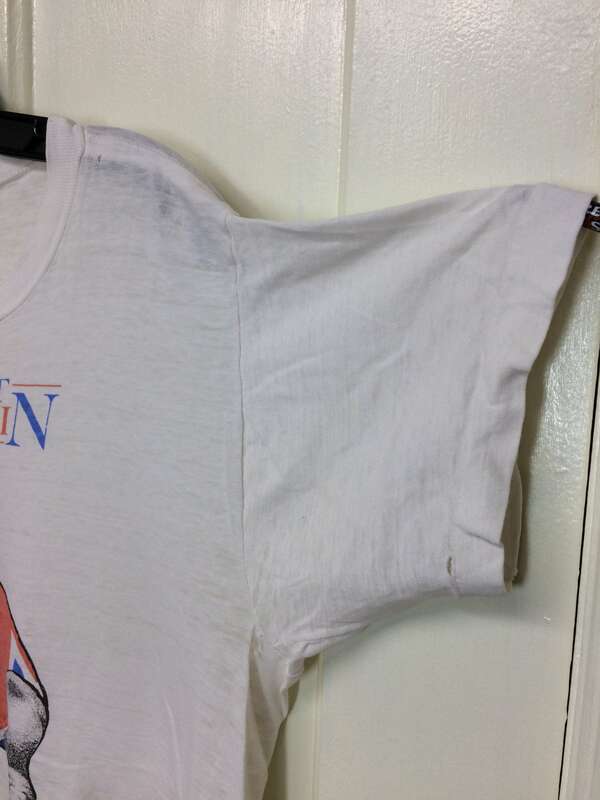 There's very slight armpit discoloration, see photos. 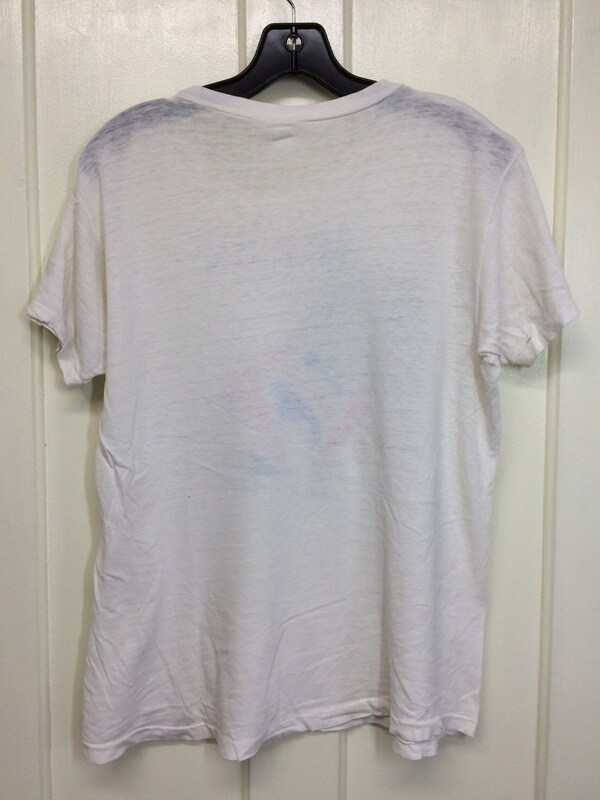 Otherwise, it's in perfectly distressed condition.